was founded 1994 by Eero Hämeeniemi, a well known composer of symphonies, ballets and works for jazz ensembles. The players come from the cream of Finnish musicians: Heikki Nikula and Sampo Lassila have day jobs at the Philharmonic, on the other hand they busy in modern jazz-, etno- and improvisation groups as well as chamber musicians. Pentti Lahti and Markus Ketola play in the UMO, the leading jazz big band in Finland. Nada fuses elements of modern jazz, contemporary chamber music and world music into a coherent, exiting and unique sound. In 1996 NADA made its New York Debut at the Knitting Factory. The same year the ensemble performed at the Cervantino Festival in mexico with the dancer Tommi Kitti. In1998 NADA provided live music for the premiere of Jonathan Holander's choreography 4-way Intersection at the Florence Gould Hall in New York. 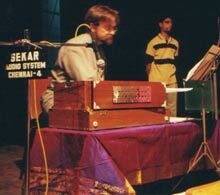 Also 1998 NADA organised a small festival of its own, performing with its Indian friends in Helsinki. Nada performed 1997 and 2002 in the Tampere Jazz Happening. The ensemble is regularly featured by national radio, TV and festivals. Nada was on the air in Finland over 6 hours in 1998. 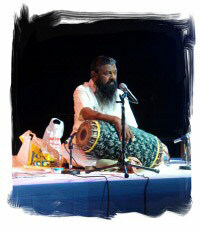 The first CD of the NADA was published by Alba -Records in 1999, consisting of 5 Nada originals.In 2001 NADA performed very successfully in Chennai, India with Karaikudi R. Mani's Sruthi Laya ensemble. Twins - CD was recorded in India with these too ensembles collaborating. The co-operation of Nada and SruthiLaya ensembles has continued in several live concerts in Finland.